Spain's former world rally champion Carlos Sainz won the Dakar Rally for the first time on Saturday after holding off a late challenge from Volkswagen team mate Nasser al-Attiyah of Qatar. Al-Attiyah had cut Sainz's lead to two minutes 48 seconds after a penultimate stage that saw the two, free to race each other, collide in the heat of battle and exchange angry words. 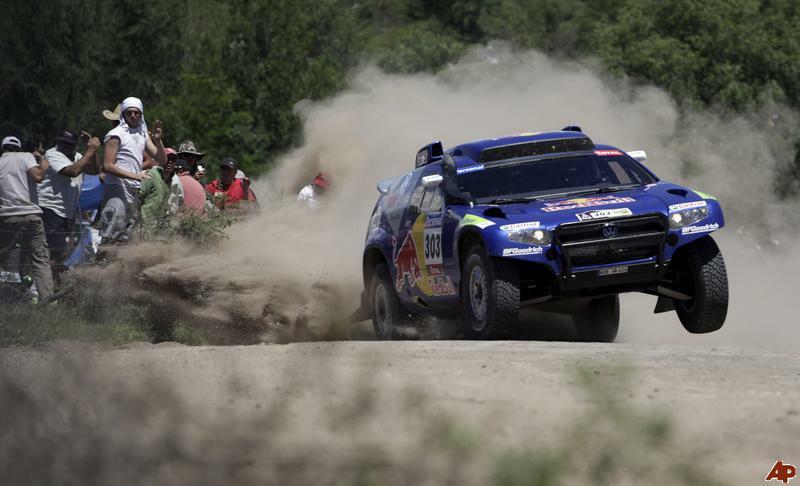 The Qatari was again fastest in the final 206-km stage from San Rafael to Buenos Aires but could not overhaul the double rally world champion, who had accused him on Friday of not playing fair. Sainz, who had led from stage five, won with a lead of two minutes 12 seconds -- equal to a mere 3.73-km over 4,806-km of racing. "I won in Europe, in Spain and today in the Dakar," the Spaniard told the event's official website (www.dakar.com). "I am really happy and relieved. "It was a tough and daily fight against my team mate. I knew it would be like that." Al-Attiyah congratulated his team mate. "What matters is that Volkswagen won," he said, "He did his job, I tried to do mine. Next year I'll win." France's Guerlain Chicherit was third in a BMW while NASCAR driver Robby Gordon of the United States was eighth. Frenchman Cyril Despres took his third Dakar crown in the motorcycle category on a KTM. The Dakar Rally was being held in Chile and Argentina for the second year running after the race in Africa was cancelled in 2008 because of security fears.